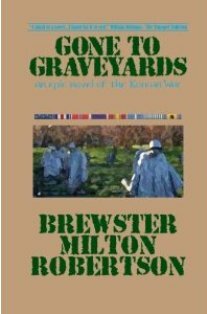 From the publisher: Gone to Graveyards, an epic novel of the Korean War, has an immediate relevance today, over a half-century after the Korean truce was signed. Incredibly the daily headlines portend the ominous threat of North Korea’s nuclear ambition while UN troops still anxiously patrol the Demilitarized Zone at the 38th Parallel. Pundits have variously called the Korean War "a black hole of history" and "The Forgotten War." Most of the meager legacy of written history about the so-called “Forgotten War” would have current and future generations believe the Korean War began on June 25, 1950, when the North Koreans crossed the 38th Parallel into Seoul and ended slightly over one year later on July 10, 1951, the date both sides sat down at negotiating tables at Panmunjom, a village a few miles north of Seoul. This is the farthest thing from the truth. During the ensuing two years of bickering between the negotiators before the truce was finally signed on July 27, 1953, the bitter and bloody fighting continued to rage—literally within a day’s march of the truce tents themselves—on meaningless land features nicknamed Old Baldy, Pork Chop Hill, Whitehorse Mountain, Bloody Ridge, Iron Triangle, Heartbreak Ridge, et. al., with a mind-boggling total loss of life and limb to over 400,000 American and UN soldiers and an estimated 1,200,000 of the North Korean and Chinese, as well.